The much-acclaimed Medmerry Managed Realignment Scheme has once again enjoyed success – this time on a global stage at a recent international awards ceremony in Miami, USA. 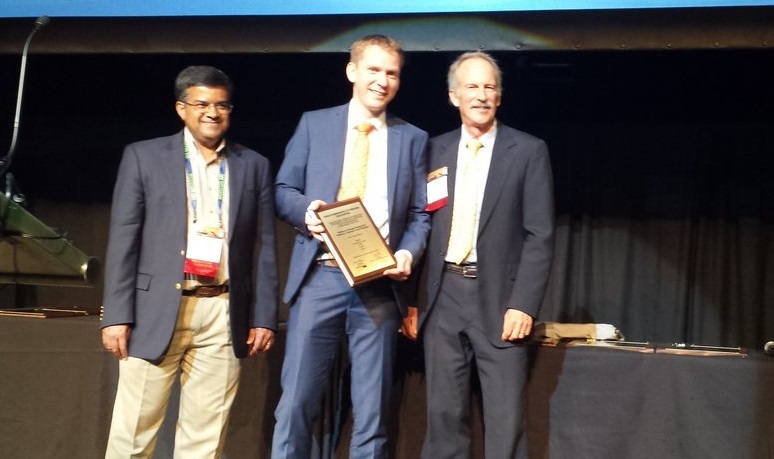 The latest accolade for Medmerry is an Environmental Excellence Award from the World Organisation of Dredging Associations (WODA), which was presented at WODA’s triennial international conference (13-17 June). WODA is an independent, non-profit, professional organisation whose objective is to achieve sustainable dredging through the implementation of its Principles of Sustainable Dredging. WODA’s conference and exhibition is one of the most important and anticipated events for dredging professionals worldwide, and the only global event dedicated exclusively to dredging and maritime construction. Medmerry received first prize in the ‘Dredging for Coastal Reinforcement’ category when the 2016 WODA Environmental Excellence Awards were presented at the conference dinner on 16 June. The scheme has now received no fewer than 20 industry awards over the past three years. The scheme involved the construction of four miles of new sea walls to significantly reduce the flood risk to nearly 350 homes, local infrastructure and the main road into the village of Selsey on the West Sussex coast. The scheme is designed to provide protection against rising sea levels over the next 100 years. It has also created a new wetland for wildlife to flourish and much of the site is now managed by the RSPB as a nature reserve.